As Australia’s number one supplier of roofing products including pointing cement and roof paint, Flexitech is your only choice when you need to get the job done fast. With more than 20 years in the business, we are committed to continuously improving our products for usability, application, longevity and reducing environmental impact. For more information on our products and services, please use the links below. 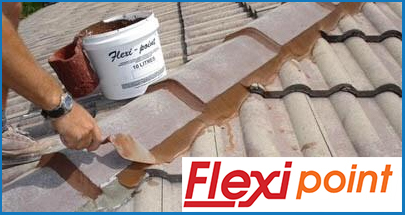 Flexi-point is our pre-mixed, pre-coloured, trowel applied, flexible pointing compound that is easy to use. 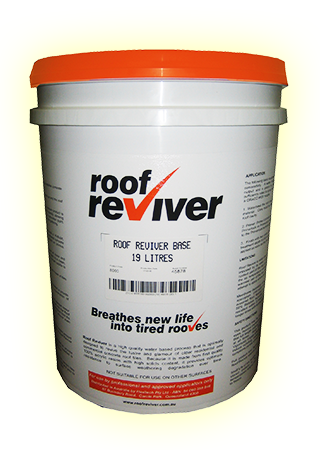 The Roof Reviver system is a quality water based treatment designed to revive weathered roofs. 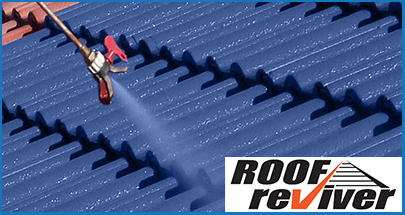 Our experience and industry knowledge ensures that our customers will receive the best roof finishing products available and in turn, leave your customers with a perfectly finished roof, first time, every time. We are leaders in service, professionalism and quality in everything we do. Our large storage facilities enables us to maintain an extensive range and stock of all of our roof finishing products which means we are able to meet supply needs throughout the year. Call our friendly staff at any time and they will be able to assist you with all your roof pointing and painting needs. If you have a question in regards to one of our products or would like to place an order please don't hesitate to contact us today.